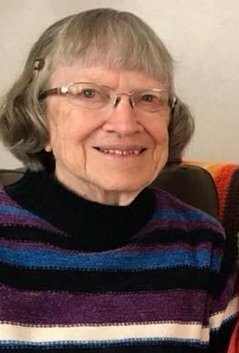 Dorothy “Dottie” (Foley) Sanders, 90, of Charleston, WV, formerly of Kingwood, died on Sunday, January 27, 2019, at Hubbard Hospice House in Charleston. Dottie was born December 22, 1928, in Albright, a daughter of the late Dwight L. and Katherine (Elliott) Foley. Dottie is described as a renaissance woman. She was a member of the Kingwood Baptist Church where she played piano for many years. She taught Art, Science, Math and Biology for Preston County Schools and for Garrett County Schools in Oakland, MD. She needed only to complete her oral exam to be awarded her Doctorate in Botany from WVU. Dottie was gifted in calligraphy and was certified as a handwriting analysis expert and at times would be called to testify in court. She enjoyed sign language, candy making, cake decorating and she had visited every state in the US except Hawaii and North Dakota. She worked at Yellowstone National Park in her youth and in her later years was on staff at Oglebay Institute Camps for many years. Dottie was known for her service to others up until her passing. She is survived by her daughter and son-in-law, Katherine “Kit” and Chris Reed of Charleston; her nieces, nephews and spouses, Jill (Kirk) Bowermaster, of Morgantown, June (Herman) and Galen Clemmer of Bethel, PA, Mike and Lu Ann Foley, Kristin and Kevin Thomas, Pat and Cindy Foley, all of Kingwood; special cousin, Dwight Foley of Charleston; grandson, Ethan Reed of Charleston; many special friends, many great-nieces and nephews, and great-great nieces and nephews. In addition to her parents, she is preceded in death by her brother and sister-in-law, William “Bill” and Glenna Foley. Friends will be received at the Rotruck-Lobb Kingwood Chapel, 295 South Price on Thursday, January 31, 2019, from 5-8pm; on Friday, February 1, 2019, from 10:00 a.m. until the time of the funeral in the funeral home chapel at 11:00 a.m. with Reverend David Spence officiating. Interment will follow at Maplewood Cemetery in Kingwood. The family requests that any memorial donations be made in Dottie’s memory at Memorial Processing St. Jude Children’s Research Hospital, 501 St Jude Place, Memphis, TN 38105-9959.